Bank picks up 36 awards at 2018 Best Corporate/Institutional Digital Bank Awards. Citi Vietnam was a big winner at Global Finance magazine’s 2018 Best Corporate/Institutional Digital Bank Awards; the third year in succession it has done so. Recognized for its excellence in digital banking and innovation, Citi swept a total of 36 awards, reaffirming its commitment to innovation and excellence in digital banking across its Corporate/Institutional as well as Consumer Banking business. In the magazine’s World’s Best Corporate/Institutional Digital Bank Awards, Citi was named Best Digital Bank in 16 markets: Australia, Bangladesh, China, Hong Kong, India, Indonesia, Japan, Malaysia, New Zealand, Pakistan, the Philippines, South Korea, Sri Lanka, Taiwan, Thailand and Vietnam. The bank also won five sub-category awards, including Best Online Cash Management, Best Online Treasury Services, Best in Mobile Banking, Best Mobile Banking App, and Most Innovative Digital Bank. Citi was the first global transaction bank to launch Application Programming Interfaces (APIs) for institutional clients, in 2017. Close to 20 APIs across a wide range of functionalities have been implemented. The bank also has the largest footprint in Virtual Cards in Asia, across eleven markets, bringing automation and efficiency to supplier payments for clients. 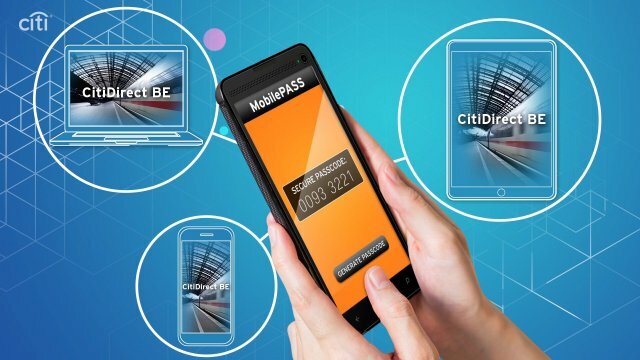 MobilePass - Citi’s app that generates dynamic passwords for digital access to accounts by corporate users - is now available in 14 markets in the region. Being the leader in world-class banking experiences, Citi Vietnam introduced two groundbreaking banking platforms: CitiDirect BE - the next collaborative online platform helping institutions increase transactional transparency, reduce fraud exposure, and improve operational efficiency, and Citi ® Supplier Finance - a global pioneering supply chain finance. The bank has consistently worked with clients over recent years to move them to the Citidirect platform across desktops, mobiles and tablets. In the Consumer Digital Bank Awards, Citi was named Best Digital Bank in Australia, India, Indonesia, the Philippines, Taiwan and Bahrain. In sub-category awards, it was recognized as Best in Mobile Banking and Best Information Security and Fraud Management in Asia Pacific. From June 2017 to June 2018, the Asia Pacific Consumer Banking franchise added over 1 million new mobile clients. Mobile is now the most popular digital channel for Citi’s clients, with more than one-in-three digitally-active clients choosing mobile. The past year also saw a number of digital global-firsts for Citi launched out of the region. The bank’s chatbot on Facebook Messenger was launched in Singapore early this year while video banking for Wealth Management was introduced to customers in India.